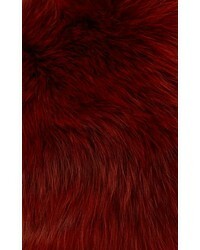 If you're in search of a casual yet totaly stylish ensemble, pair a red sequin evening dress with a Lanvin fur stole multi. As well as very comfy, both items look great paired together. 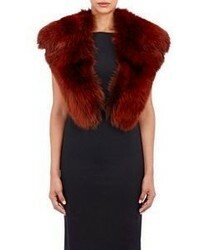 If you're all about relaxed dressing when it comes to fashion, you'll love this cute pairing of a red sheath dress and a Lanvin fur stole multi. Red suede pumps will add a touch of polish to an otherwise low-key look. 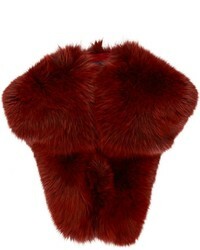 Rock a grey coat with a red fur scarf, if you want to dress for comfort without looking like a hobo. Dress up your getup with black leather pumps. 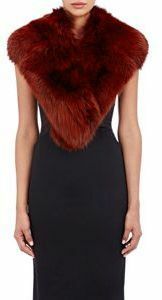 If you're obsessed with practicality dressing when it comes to fashion, you'll love this chic pairing of a hot pink sheath dress and a Lanvin fur stole multi. Sporting a pair of black suede ankle boots is a simple way to add some flair to your ensemble. 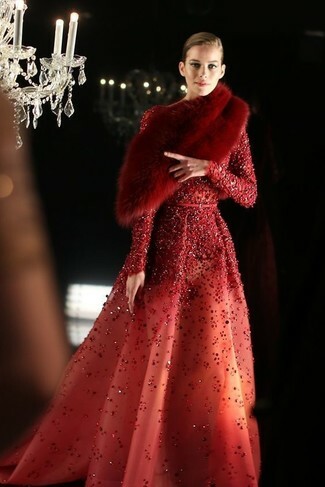 We're all seeking comfort when it comes to dressing up, and this combination of a gold lace maxi dress and a red fur scarf is a great example of that. To add oomph to your ensemble, round off with red satin pumps.